Our partner Andorra Solutions are representing tax specialists in Andorra and complementing our services for businesses and individuals wishing to form companies in Andorra. Auge Grup is our strongest partner for any legal consultancy regarding the set up of Andorra entities and the related licenses, permissions and governmental approval. They also specialize on intangible property law if you wish to register a trademark or your brand in Andorra and across Europe. Strategic partnerships allow companies to expand and specialize without limitations. Tax Andorra is the our specialist and partner for accounting and bookkeeping in Andorra to complement our own services and call in the experts for other tasks when needed. Our clients often come to us with problems beyond the scope of tax consultancy. This may be market studies or strategic business development. Since they know that we have their best business interests at heart they want us to help them with their needs in other fields. 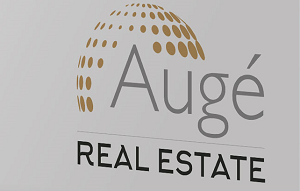 Our partner Augé Real Estate specializes in real estate in Andorra for individuals and companies. Find the property of your dreams with real estate professionals. Looking for a tax and legal consultant in Andorra?